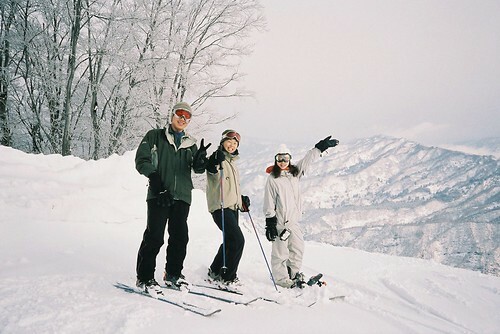 i heart japan – Japan travel tips and info about Japan » The Japanese Ski Season – When, Where and Why? Getting there around early January will allow you to catch the better part of the snow, while avoiding a lot of the crowds that rush in. But be aware, that period is often the Chinese New Year, so the slopes will be packed with Chinese tourists making the most of their break. This is around the time that you will find the sweet powder you flew all that way for. I know that during this time is the prices will skyrocket, but again, those willing to travel all that way for snow should be willing to bear the cost. If you’re really keen you could simply wait until a bit later in the season and book last minute savings; but make sure to check the snow reports and make sure the weather favors you. There are a number of choices when thinking of where to station your ski holiday and realistically it comes down to two really good choices. The first is Niseko on the Northern end of Japan. This village has a more Western vibe to it while still offering a traditional Japanese experience in other respects. So while you can get a traditional Japanese meal here, and even a pre-packaged hot-dog with mustard and tomato sauce (traditional strange Japanese creations); you can still get a good slice of pizza and an English speaking ski instructor. Second is the great Hakuba Valley, with over 200 runs and ten resorts, this 30km expanse of mountains has everything you could want from Japanese Skiing. This area, however, is much more Japanese than Niseko, in the sense that it has more culture and less foreign support. It would be a good idea to travel to this area with someone who speaks a bit of Japanese, or pick up some basic terms before you go. From what I’ve heard, though, this area offers the best snow in all of Japan; just watch out because it can get very crowded for that reason with Japanese skiers over their holidays, which usually fall around December/January. There are many other mountains around Japan such as Shiga Kogen, Sahoro, or Tomamu, but these two are my pick. There is no discrepancy here, Japan is the best place I have skied in, and I’ve been through Europe, America, Australia and New Zealand. I haven’t heard any different from anyone who’s gone there; once you experience powder, you never go back. Skiing in Japan wins in any case, simply because of their unique culture; you never find a disgruntled employee, their food is unique and delicious, and you can find the most random creations this planet has come up with there. You would struggle to find a better atmosphere, or better snow anywhere else on this planet. So what are you waiting for? The Japan ski season is nigh; I couldn’t think of a better way to spend some of that hard earned cash.